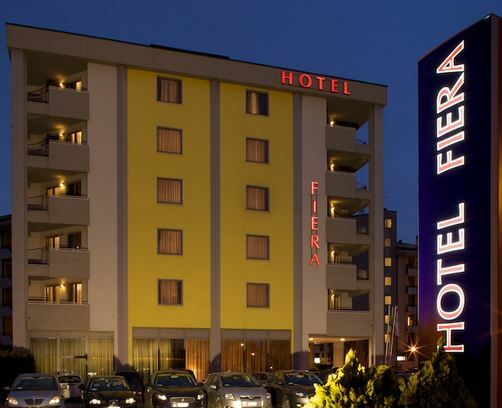 Stylish Hotel Fiera is located in a convenient area near Verona's Congress Centre, just a 5 minute bus ride from Verona town centre and at walking distance from the train station. The bus stop is just outside the hotel, allowing you quick access to all of Verona's best sights, from its beautiful Roman opera theatre to Romeo and Juliet's house. Eden Hotel in Castel D’Ario, Mantova, Italy, is located in a quiet position, not far from Verona and Mantova, important historical cities of Italy north. The hotel offers warm hospitality and comfort for a relaxing stay within a tranquil atmosphere. Set in restored villa from 1500, this rustic hotel is 12 km from both Verona Arena and Piazza delle Erbe square. The Basilica of San Zeno is 18 km away. Featuring wood-beamed ceilings, parquet floors and antique furnishings, the warm rooms and suites come with free Wi-Fi, TVs and minibars. A 14-minute walk from Museo Nicolis, this Bright, contemporary rooms feature free Wi-Fi, flat-screen TVs and minibars. Suites add sitting areas; some have separate living rooms and sofas. For a bit of entertainment, guests will find LCD TVs with satellite channels, and other amenities include room service and down comforters. 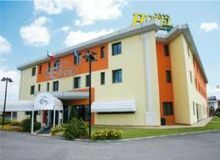 The 4-star Hotel Roxy Plaza is set just outside the ancient walls of the medieval town of Soave. It offers elegant and spacious rooms with wooden floors, and features a fitness room with Technogym equipment. All air conditioned, rooms come with a satellite flat-screen TV and a minibar. Just 10 minutes drive from the Verona Arena, Dimora Del Viaggiatore offers spacious, en suite rooms, a terrace, and a garden with BBQ. A sweet breakfast is served daily. Rooms have a modern design and are equipped with air conditioning and a 32 flat screen TV with satellite channels.